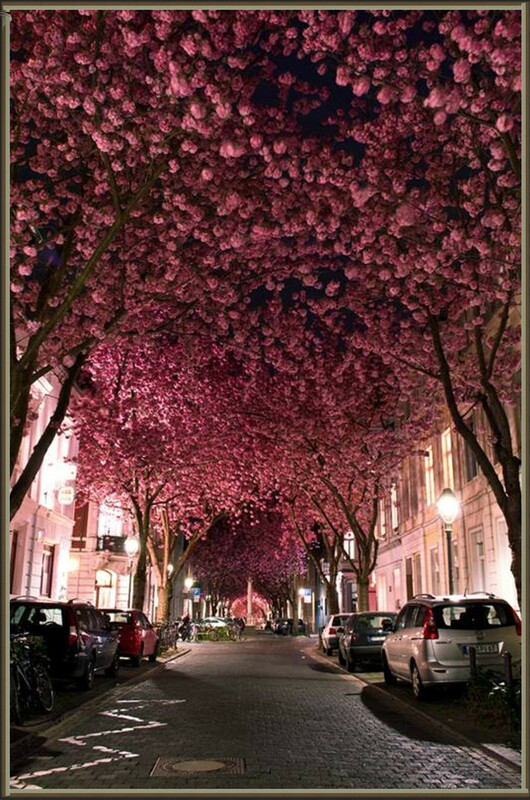 pink archway for 7 to 10 days, depending on the weather. I could spend the day beneath the richness of these giant Rosewood. 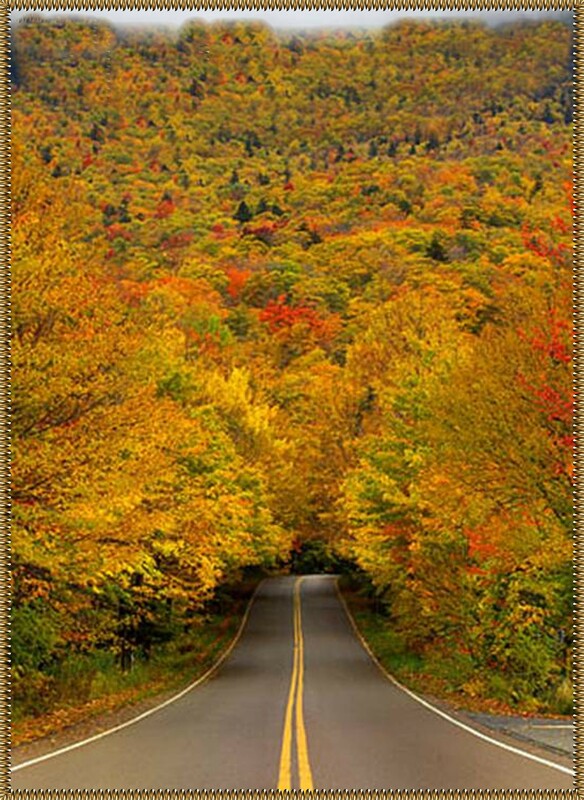 begins in the North and spreads South throughout the season. 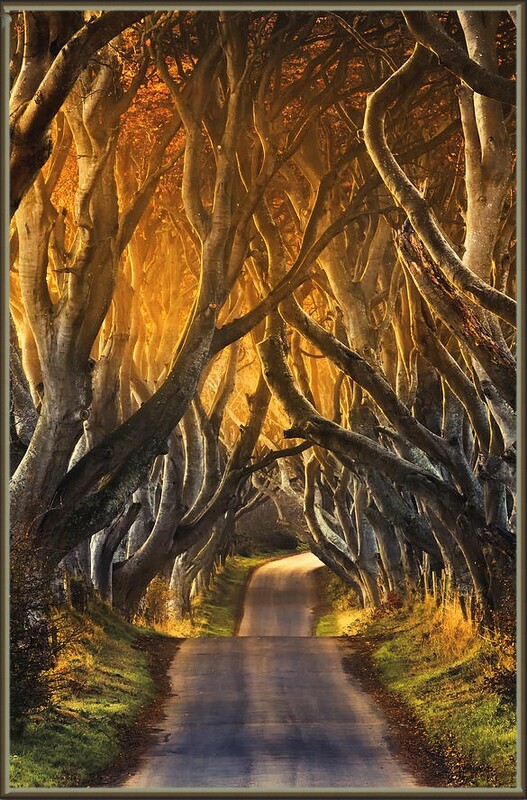 The Yew Tunnel in Whales, UK has been an inspiration to writers since 1470. It’s a popular tourist attraction of the medieval Aberglasney House. The tunnel was nearly destroyed due to neglect; it took nine years to restore the archway. 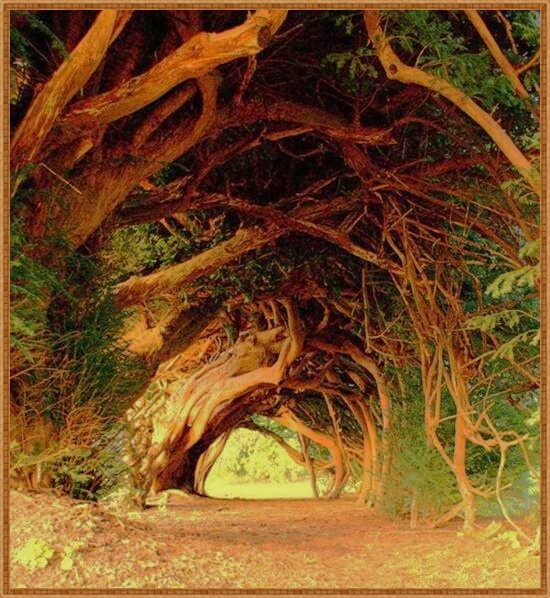 People believe the Yew Tunnel was created by the Dyer family in the 18th century. Another part of the tale is the “Grey Lady” who was a maid in a nearby mansion. She died under suspicious circumstances and now haunts the country road. This tunnel in Sagano Bamboo Forest in Arashiyama takes me away. 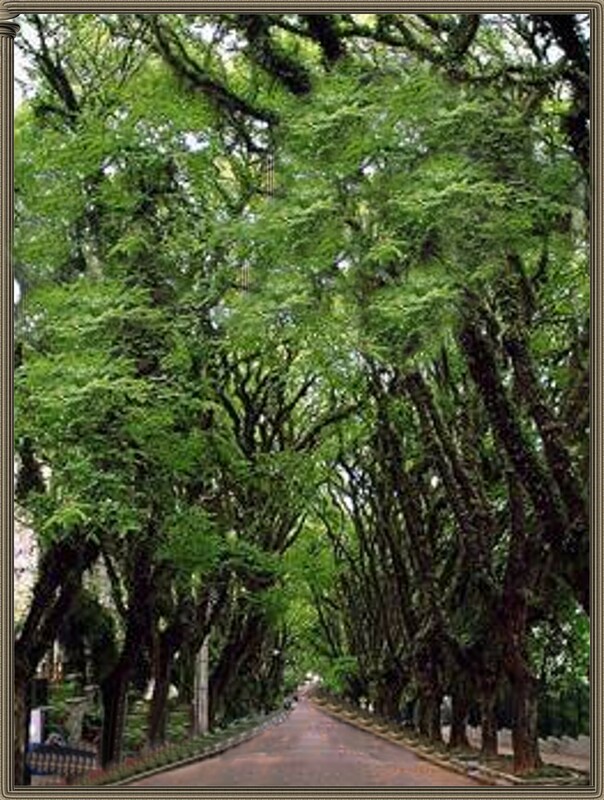 It’s a nationally designated historic site and The Agency for Cultural Affairs has declared Arashiyama a “Place of Scenic Beauty.” The forest is close to famous temples and shrines. 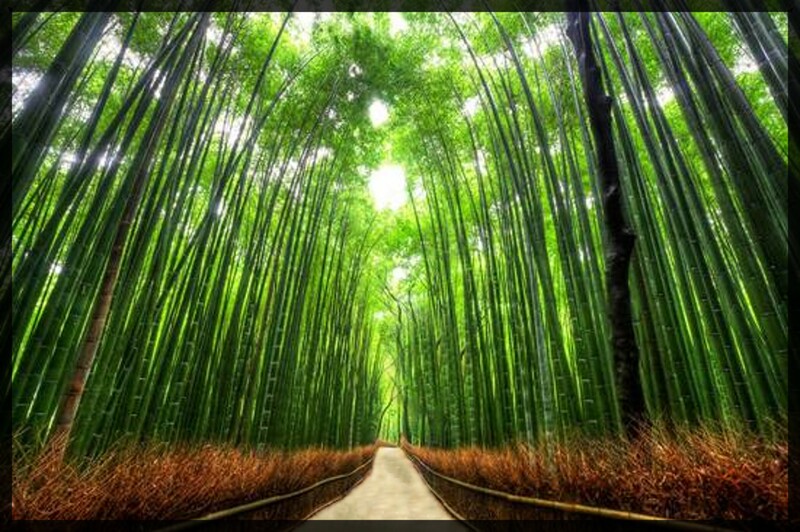 One of the most preserved sounds in Japan is the sound of the wind as it blows through the gigantic bamboo trees. a wish. If their love is strong and pure, the wish comes true. 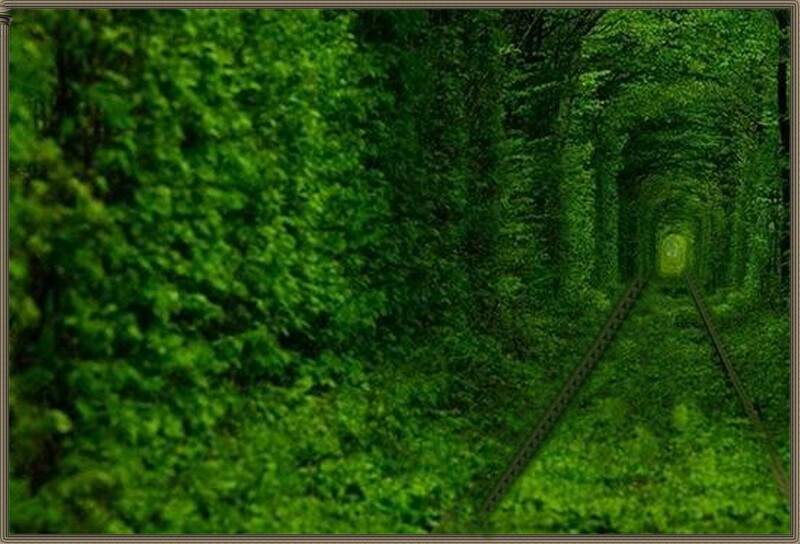 It’s a private rail that serves a woodworking plant near Klevan, a city in western Ukraine. The train runs three times a day … I’m gettin’ my ticket. If you like purple this tunnel is designed for you. Johannesburg, Africa has a man-made forest with more than 10 million trees. 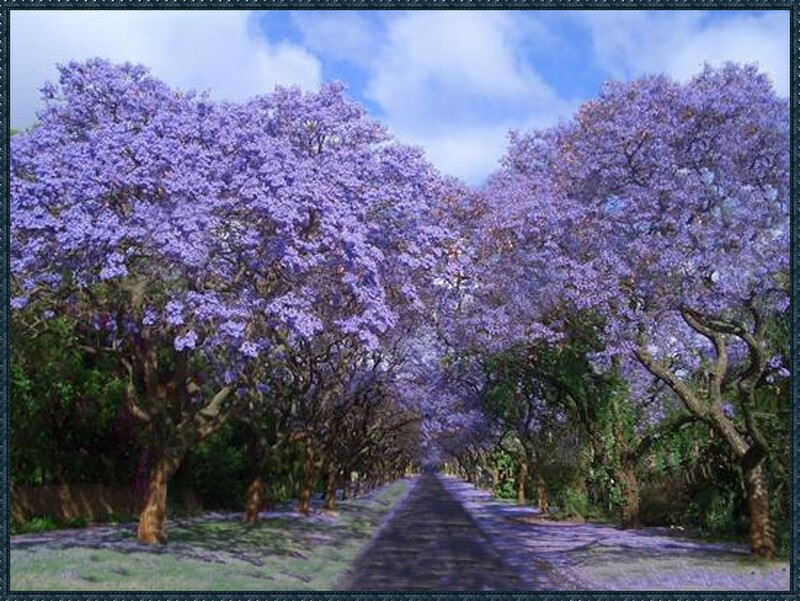 Tropical trees from Uruguay, Brazil, Peru and Argentina were imported with 49 species of Jacaranda. The land is littered with blue and purple in October when the flowers are in bloom. 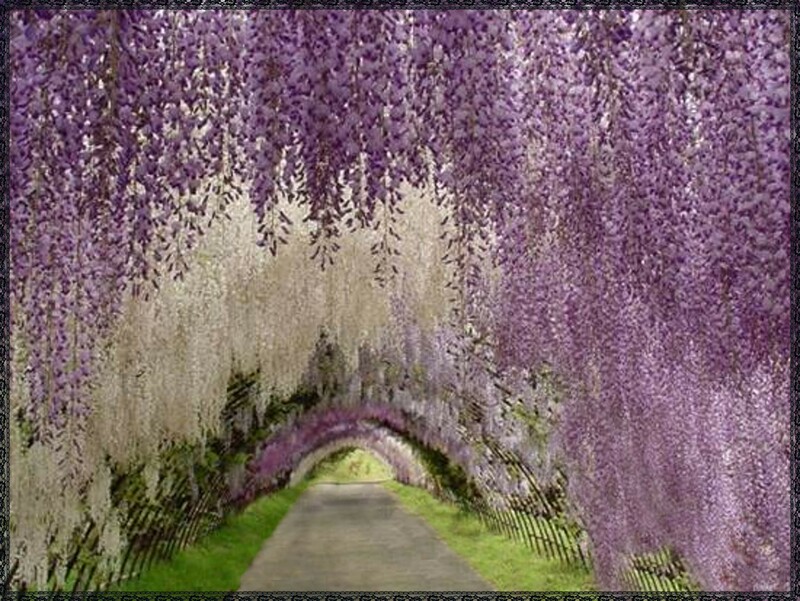 the most different varieties of Wisteria. 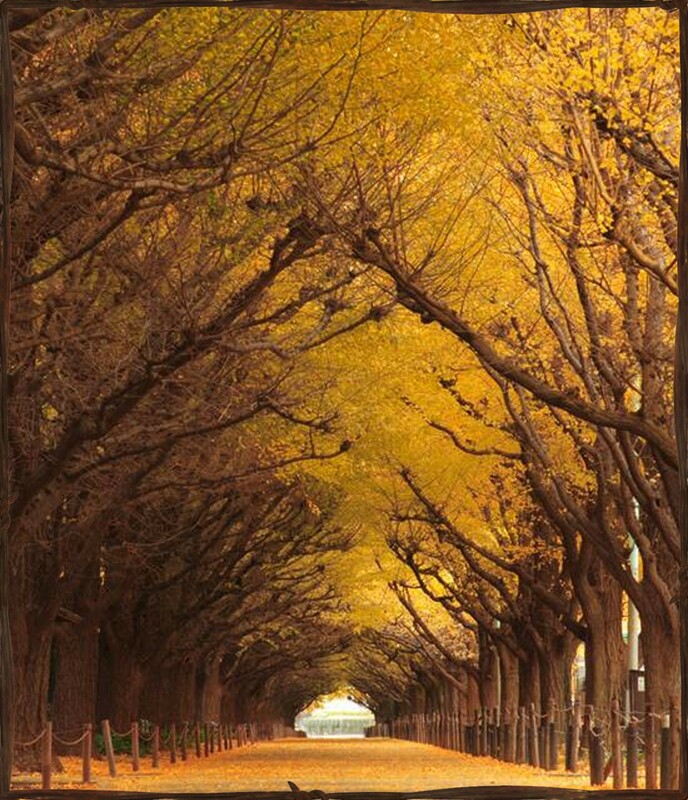 This entry was posted in Supernatural and tagged Bonn, Brazil, Cherry blossom, climate, Fuji Matsuri, gingko biloba, ginkgo tree, Japan, nature, Porto Alegre, porto alegre brazil, South Africa, Tokyo, Ukraine, vermont state park. Bookmark the permalink.